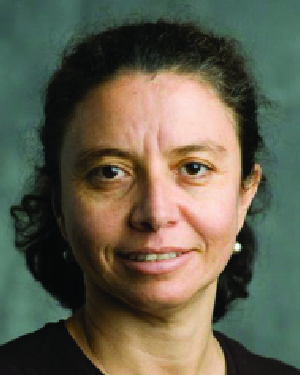 Dr. Elaina Sousa Silva was a Humphrey Fellow at the Humphrey Institute of Public Affairs from 2007 to 2008. When she came to the University she was an internationally recognized social entrepreneur. She is currently the director of the Department of Integration of University and Community at the Federal University of Rio de Janeiro. In this position she creates linkages between civil society activists and the policy-making sectors to advance a more inclusive discourse on the challenge of promoting human rights. Solidarity Action of Maré and the Development Network of Maré. Both organizations implement social projects of education, community participation, development, and empowerment. The Center for Studies and Solidarity Action of Maré offers academic preparation and empowers youth to research and learn about their communities through involvement in community events and efforts. Before coming to the Humphrey Institute Dr. Sousa Silva didn’t speak English but was determined to learn. During her fellowship year, she took English classes, worked with a tutor, and mastered the language. It was important to her because she wanted to make international funding agencies understand the importance of investing in youth. As a Humphrey Fellow she focused on extending her professional experience in the areas of enhancing and connecting communications between schools, urban poor communities, and public policies. Dr. Sousa Silva also became involved with many local initiatives focused on youth engagement in Minneapolis. After she returned to Brazil she continued her advocacy work and has expanded the center’s scope of services for youth. She has continued to work with youth, families, and the police to develop strategies and models that will lead to understanding of cultural differences, conflict resolution, and a culture of peace. She is a trailblazer in research around youth violence and police brutality in poor communities surrounding large urban centers in Brazil and is dedicated to community participation and development, research on the urban violence phenomenon, and a groundbreaking study on urban security strategies with respect to human rights. In naming Dr. Sousa Silva as a recipient of the Distinguished Leadership Award for Internationals, the committee cited her life-long dedication to human rights issues. She has worked to guarantee educational opportunities for children and youth in the Maré community, which is one of the most socially and economically vulnerable communities in Rio de Janeiro. She has become a dynamic force in urban policy change, both in Rio de Janeiro and beyond. Her work in the Maré community has had an impact beyond its immediate sphere of action, having influenced educational and social policies in Rio de Janeiro, in other cities and states in Brazil, as well as among international social change networks.